COLUMBIA, Mo. – The University of Missouri (MU) School of Social Work, in partnership with the University of Missouri-St. Louis (UMSL) School of Social Work, has received more than $1 million from the United States Health Resources and Services Administration (HRSA) to expand training to mental and behavioral health professionals throughout Missouri. The project is designed to improve access to services among high-need young adults ages 16-25 throughout the state and in East St. Louis, Ill.
Over the course of three years, the grant will fund 84 students pursuing their MSW degrees at MU and UMSL. Each participating student will receive a $10,000 stipend while they complete on-the-job training at agencies that provide integrated behavioral health services to youth. Integrated behavioral health is an emerging model of health care in which behavioral health and primary care providers collaborate to provide holistic care to individuals. The grant also will fund on-site and web-based trainings for integrated health professionals throughout the state. Sable said the project extends both schools’ proven commitments to providing behavioral health to underserved populations. The grant, “UMSL-MU Collaborative Behavioral Health Workforce Education and Training Program,” is led by Sharon Johnson, professor of social work at UMSL. “This grant will allow us to utilize the resources of both campuses for training MSW students to recognize and treat the unique demands of the adolescent and young adult populations who have unmet behavioral health needs,” Johnson said. HRSA, which is part of the U.S. Department of Health and Human Services, awarded the grant, G02HP27945-01-00. 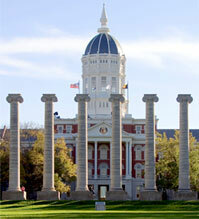 The MU School of Social Work is part of the College of Human Environmental Sciences.